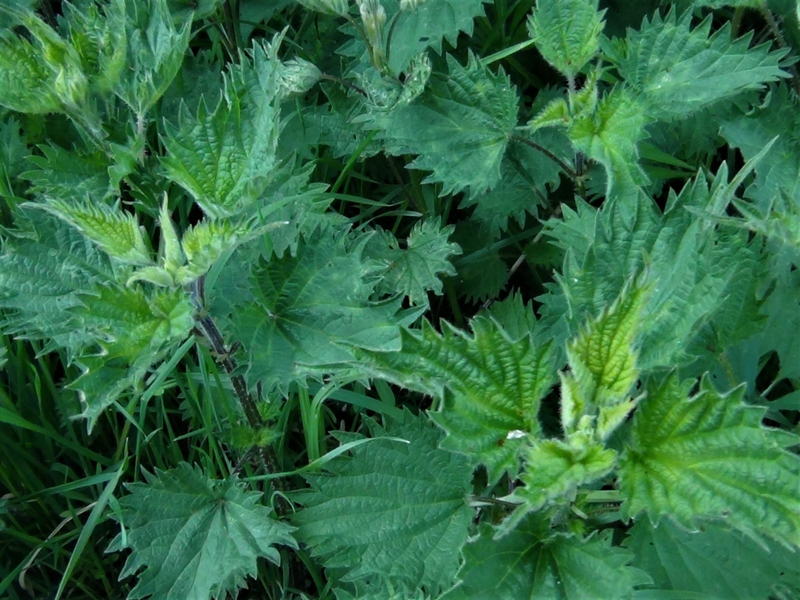 Nettles should not be eaten once they have flowered but can be cut back to produce young flowerless nettles in no time. 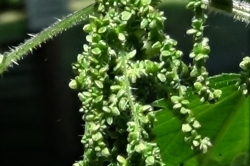 A very abundant and under used superfood that is very easy to identify if a little painful to collect without gloves. 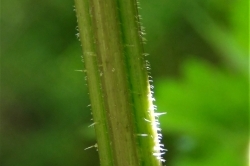 Green, arrow shaped with very serrated edges, the underneath covered in small stinging hairs with some on top. 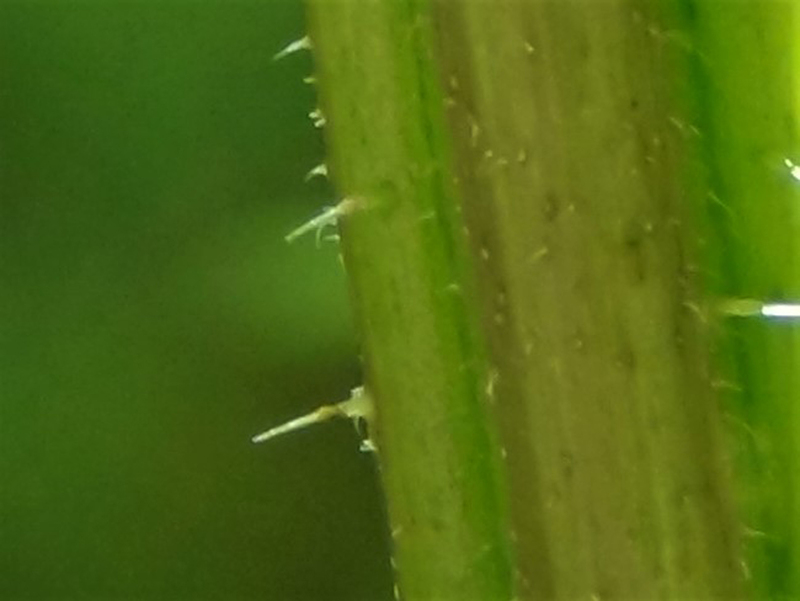 Growing in pairs on opposite sides of the stalk. 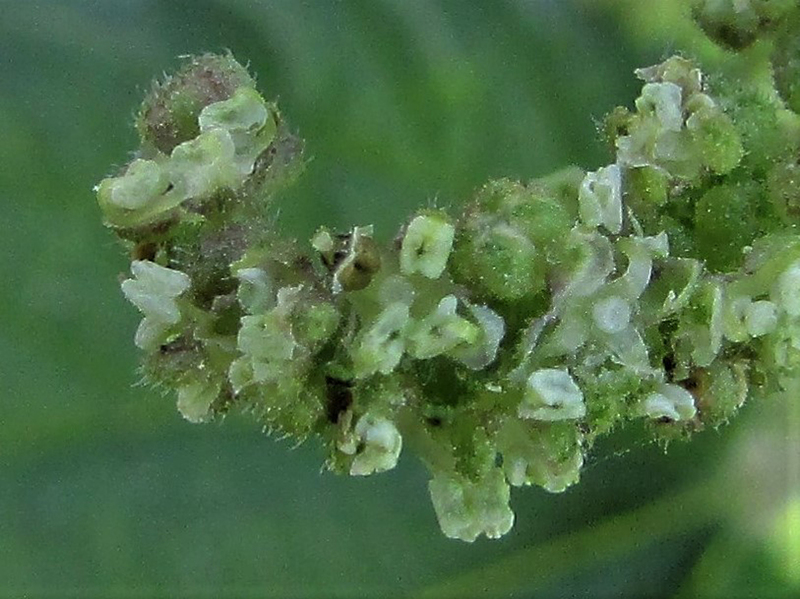 The males flowers are tiny and round, varying in colour from green to yellow or purple, these open out into four white anthers in a cross shape. 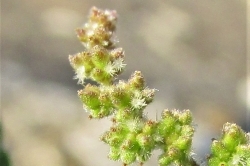 The male flowers don’t generally droop downwards and are a bit more upright compared with the female flowers. 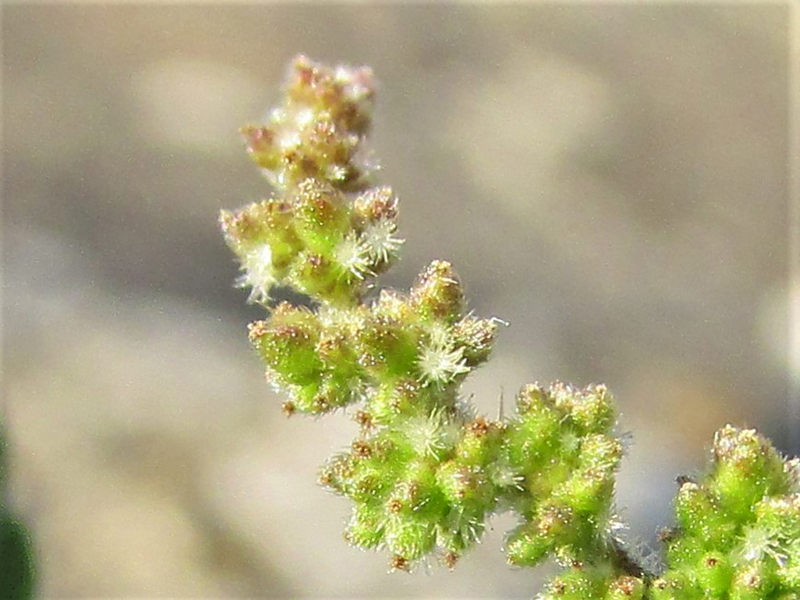 The female flowers are similar but they have many tiny spike like stigmas emitting from the centre and the ‘strings’ of flowers will usually droop right down. 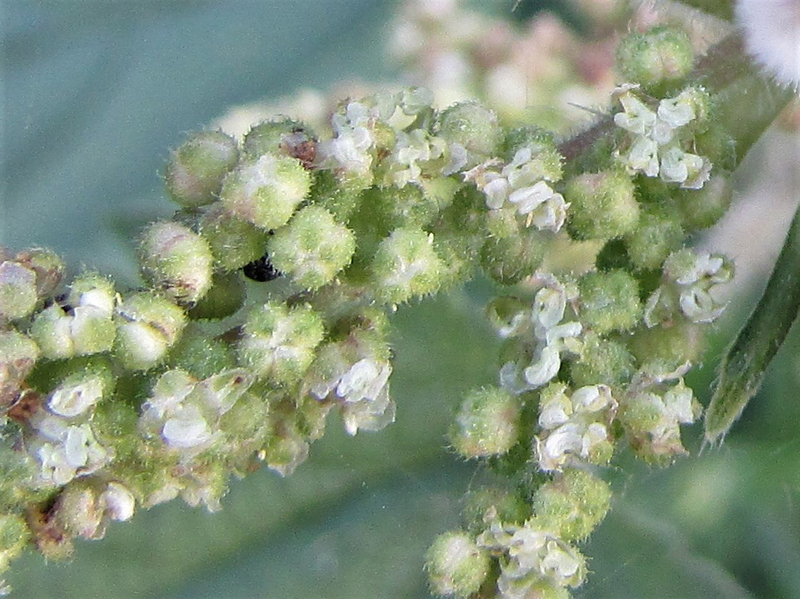 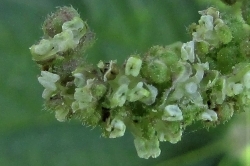 The seeds are left from the female flowers and are green and triangular. 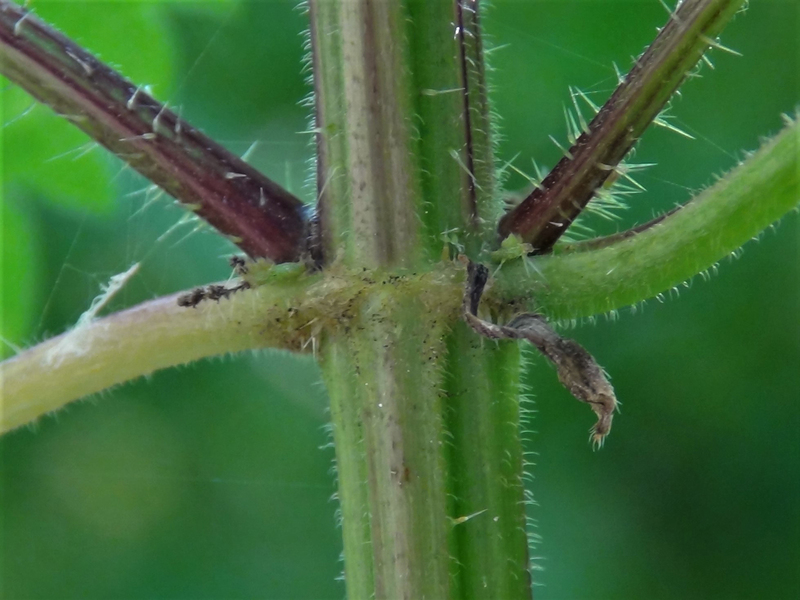 Tough erect stems. 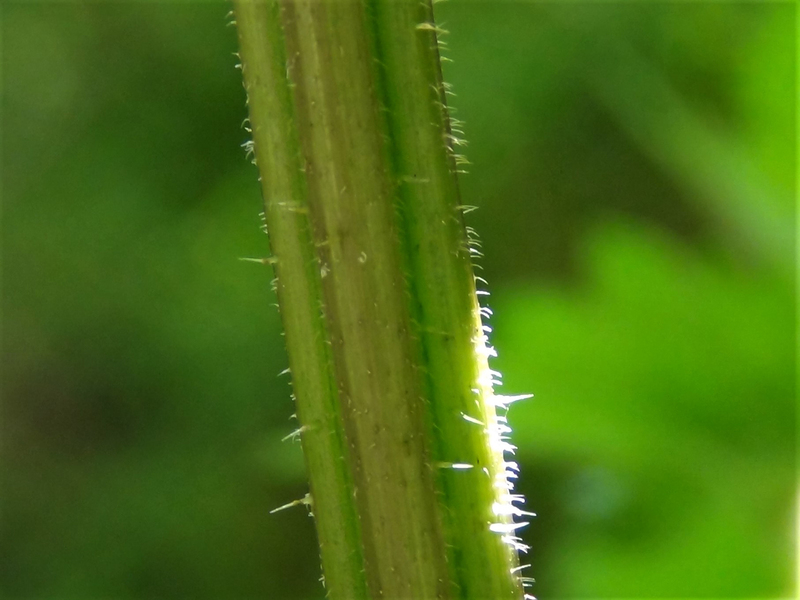 Very fibrous and covered in small stinging hairs. 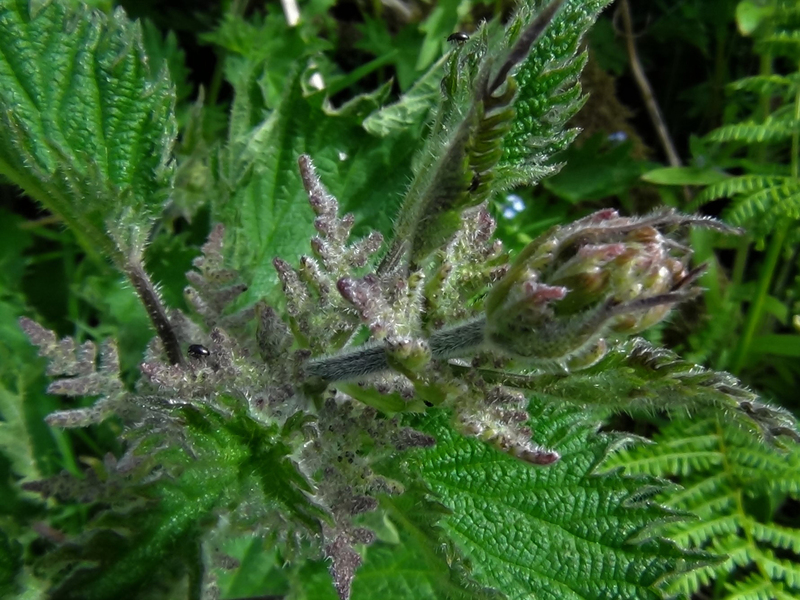 Green to red/purple. 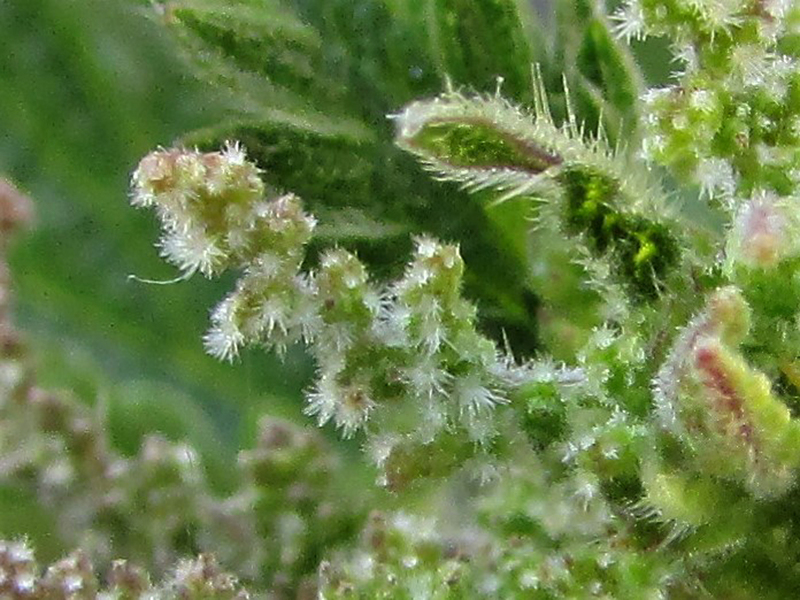 Everywhere. 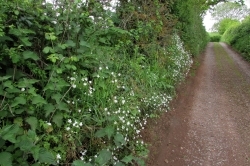 Particularly abundant on waste ground, hedgerows, woods and cultivated land. 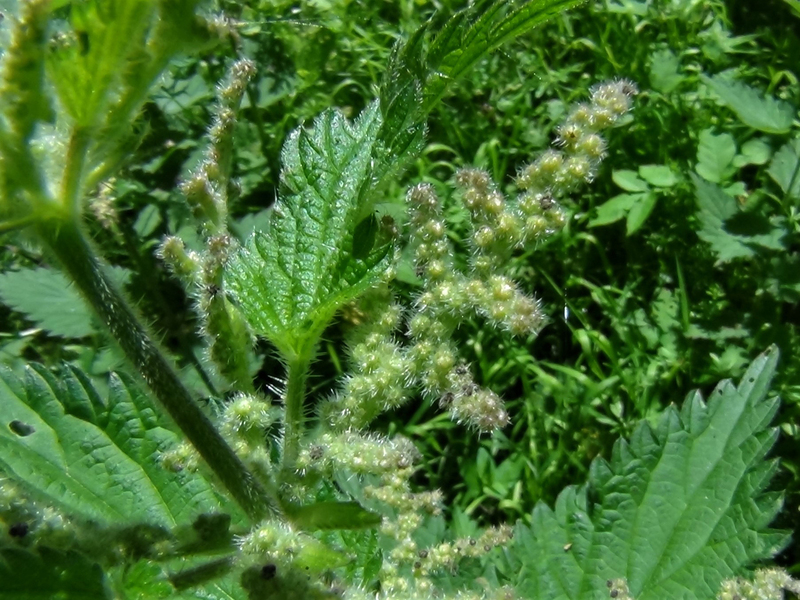 Only Dead Nettles from the Lamium family which are edible and although not as tasty they don’t sting. 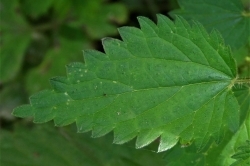 Pictured. 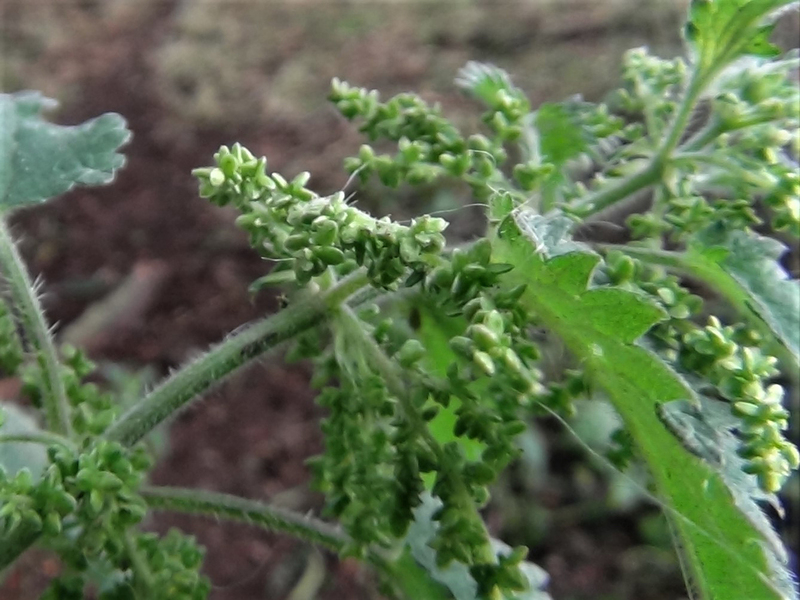 Slightly like spinach when cooked similarly but has a flavour of its own. 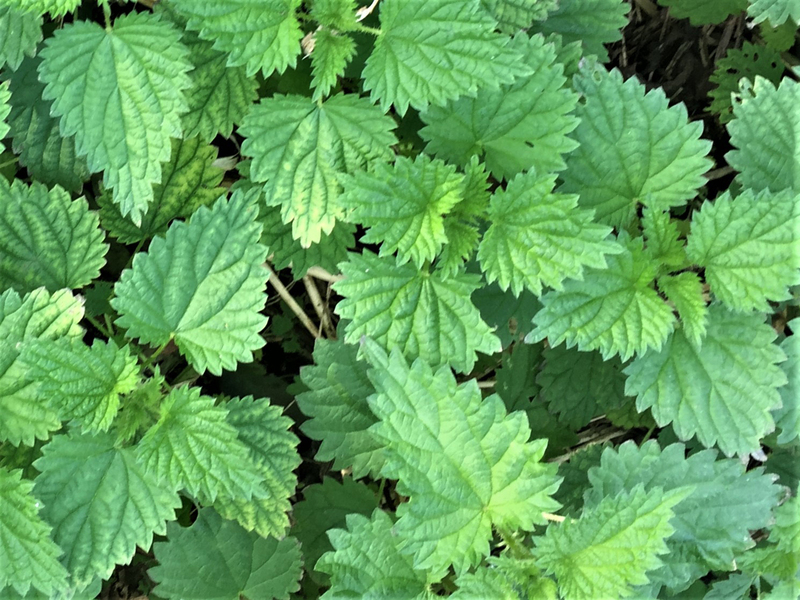 Only young nettles or bright green tops of larger plants are usable for cooking unless flaming over a fire when more of the nettle can be used. 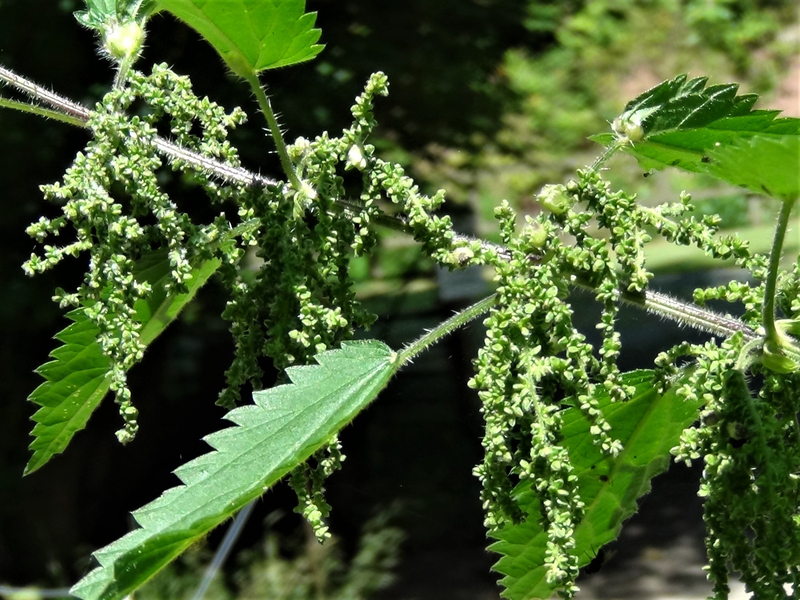 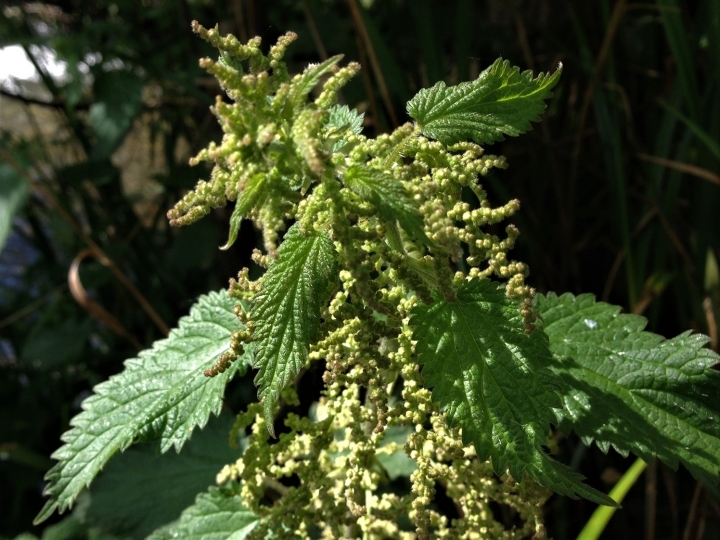 It is not wise to eat nettles when flowering between June and October as they have a laxative effect and the plant will then contain cystolith crystals that can upset the urinary tract. 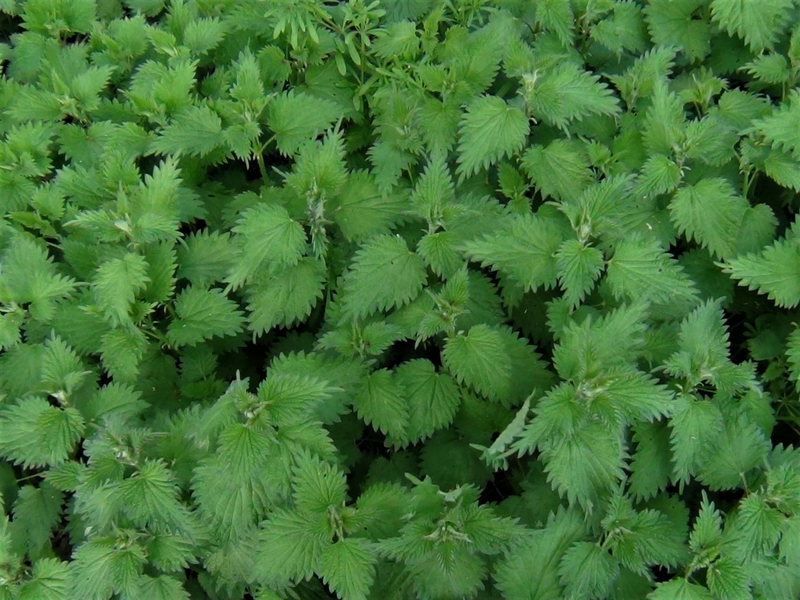 The fresh growth from nettles that grow after being cut back is fine though. 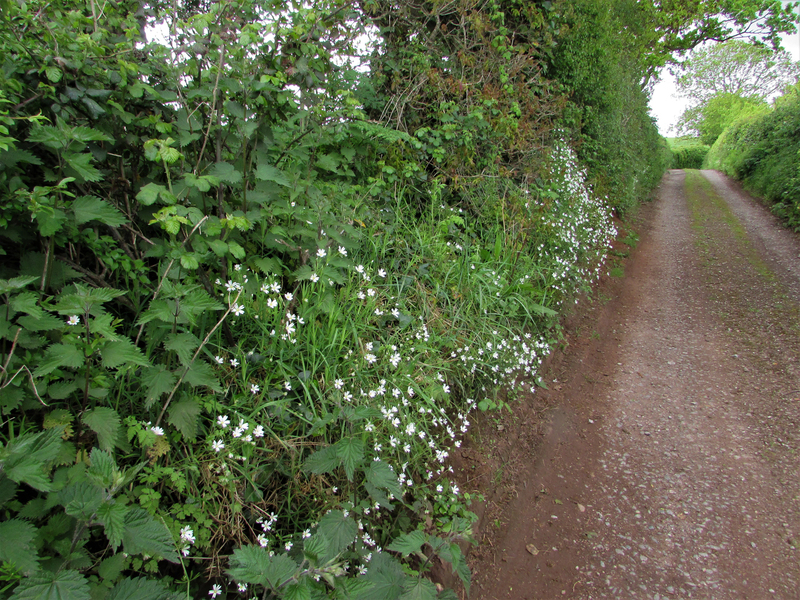 Wear gloves when collecting or ‘Grasp it like a man of mettle’! 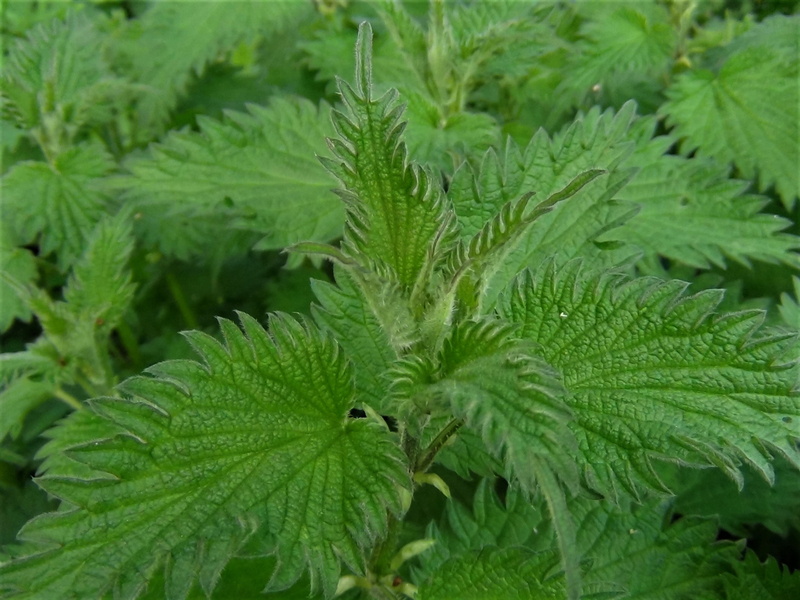 Tender handed stroke a nettle, It’ll sting you for your pains, Grasp it like a man of mettle, And it soft as silk remains’. 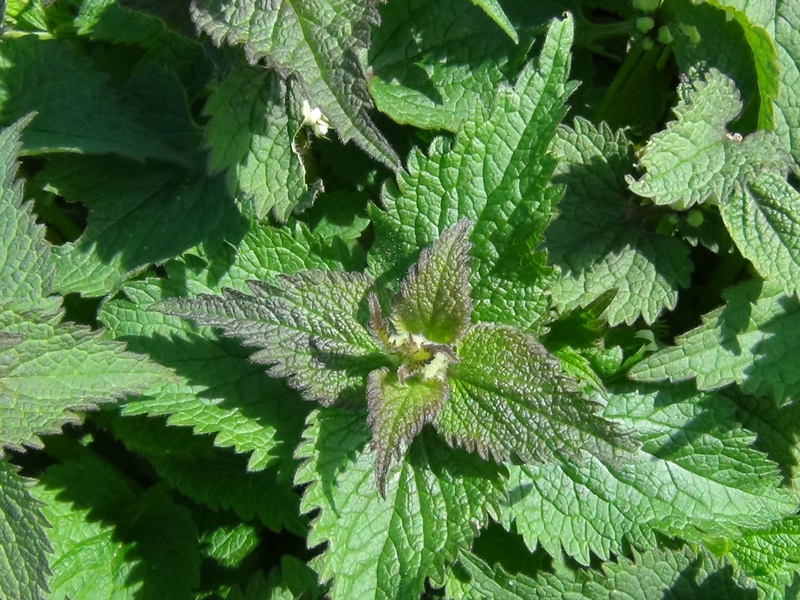 If you do get stung try rubbing the old favorite dock leaves on the inflamed area, it works but only really psycologically, much better and much more effective is to use the juice from Greater or Ribwort Plantain. 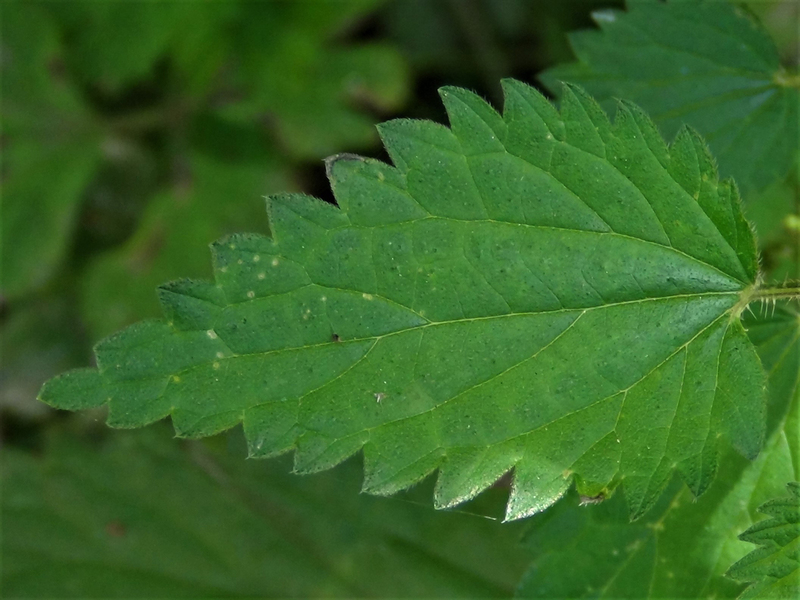 Nettles have long been of use to man for food, cordage and medicine. 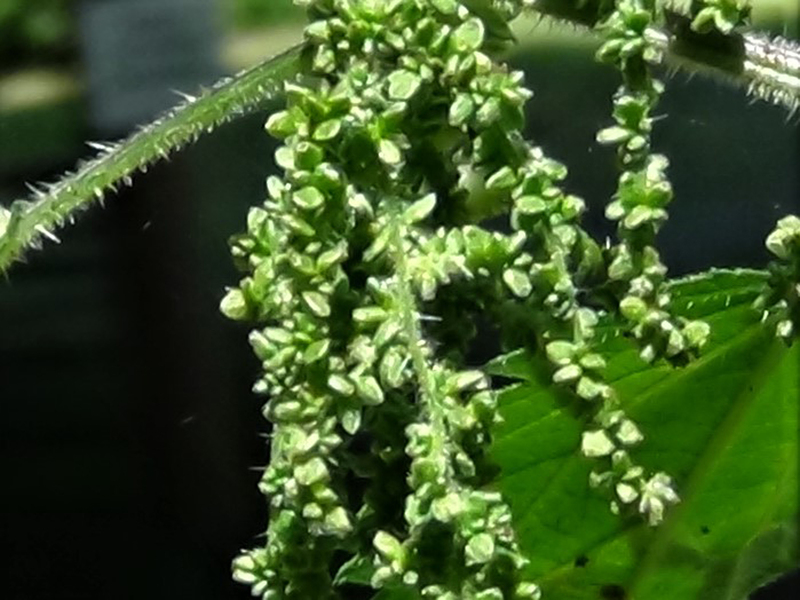 They grow in many environments but like fertile soil rich in phosphates and make good manure when rotted down. 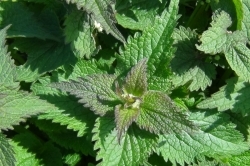 Nettles and their extracts have long been used for easing the pain from rheumatism and arthritis and they also help clear dandruff. 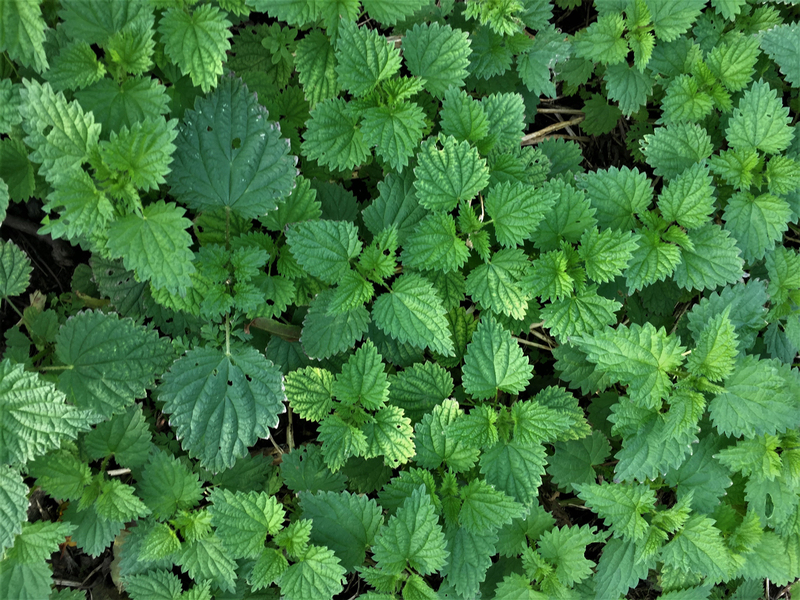 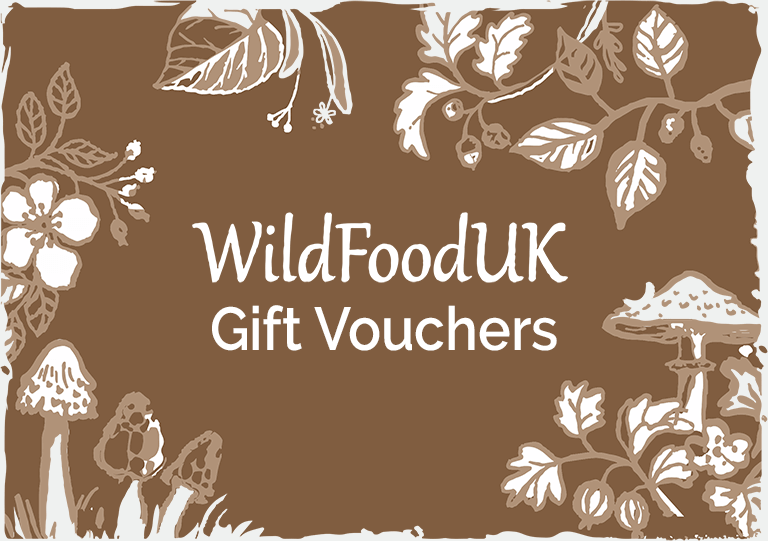 Nettles have a fairly neutral taste and the tops can be added to many dishes without affecting the flavour for the health benefits.